← Where am I going, & what am I taking? Then the time comes… and then there I am… my feet are on the actual trail. My pack is strapped to my back, and is filled with (hopefully) everything I will need for the journey. I may have trekking poles in hand, or maybe even an umbrella… just depends on the situation. I usually start out super excited! My feet almost glide down the trail. I move along fast, and my head can’t figure out whether to keep my eyes on the trail ahead of me, or on the scenery all around me… so it’s usually both. I breath in deep, the smells of the trees, the animals, the mountain itself, and I feel outdoorsy! Climbing the mountains, my senses are on fire with simple amazement. It is beautiful… in every way. Throughout the rest of the day, my mind will go back and forth with this… a wide open view brings me back to nature, and then a dark green tunnel will make me wish for family, or friends… (but more so family). As night begins to fall, the homesickness begins to turn to loneliness, and then the noises in the dark begin to turn that into fear… And then I find myself wondering, why am I even out here? This past week, I set out on an anticipated 4.5 day hike. The first 2 days and nights were “solo” and then I would meet up with a friend on the third morning to finish the hike. This trip actually went pretty good. Just as I described above, my days started out in amazement… and as they progressed, they turned a bit funny… at night though, meeting new folks seemed to take away some of that homesickness, that loneliness, and those fears which were hiding in the darkness of the night. Once I arrived at the shelter that afternoon, and was on my own, I began doing my routine camp chores… laying out my gear, sorting my food, collecting water, getting cleaned up, collecting some firewood, etc… As night-time came, I began preparing my meal. This kept me busy, and was a way to keep my mind off of things it didn’t need to be on. To be honest, the camp chores was a great way to keep my mind off of the settling night skies. However, once those chores were finished up, I found myself sitting there… watching the darkness settle in even further. Thankfully though, I had cell service, so I was able to call my wife and hear her voice as the darkness finally took over the skies. This was a blessing from God for sure… it was His was of helping me make it through times that I found to be difficult. But to make it even better, He also sent a few bopping headlights down the trail just after the darkness settled! Five smiling, laughing, faces suddenly filled the shelter. A group of ladies had been dropped off at a gap about a mile from the shelter and were hiking into the same shelter that I was in to start their own hike the next morning. I took it as another blessing from God… to help me through the night… And it did… I actually slept good, and was happy! But this makes me wonder, why do I hike… I know that I enjoy being in the backwoods of God’s creation… standing in the mountains and looking out into the valleys, or onto the other peaks surrounding me. These are things that words just can’t describe, and pictures just can’t transfer that feeling like actually standing there creates. As well, having that pack on my back, with all that I need to “survive” in those mountains for multiple days seems to give me a feeling of manliness, a sense of being, and maybe even purpose. And then to walk out of those woods, wow… it’s a sense of accomplishment, but also excitement to get back home to my family. Of course, there is that lingering thought too: When will I get to return? There are so many reasons though why I hike… Some good, and some, not really “bad” but some that make me wonder, why am I out here? This entry was posted in Backpacking, Thoughts and tagged Backpacking, Hiking. Bookmark the permalink. 43 Responses to Why do I hike? Hey I just linked this to a blog I wrote. I am reaching new hikers….or thats my plan anyway. I wrote about why hike and then after I wrote it, I googled Why Hike. Found this. I follow you on Facebook, so I thought perfect! Wow, I think you read my mind. I have felt the exact same way. I dream about the trail when I’m not on it. I read Backpacker magazine, blogs, watch YouTube videos–all in anticipation of getting out again. But, when I was out solo in the backcountry of the Big South Fork a while back, it was terrifying and lonely, and I just wanted to get back to my wife and kids. All I could think of all night was that a bear was going to tear me apart. At one point, I swore I heard a huge animal breathing over my tent. I plugged my ears and prayed and finally fell asleep from exhaustion from the hike. The next morning was so beautiful, though, and I was glad to be there. It was such a strange experience. That was my one and only experience solo backpacking, and I’ve been out probably a hundred times with friends with no problem. So, why is “going solo” so different? Anyway, thanks for being so transparent and letting me know I’m not the only one who has felt this way. If I am to continue preparing myself for an AT/PCT hike one day, I need to figure out how to conquer my fears and just enjoy being out there. I really appreciated the honesty of your post. I have experienced quite similar feelings. As your perspective has helped me, perhaps mine can help you. I was able to backpack fine for a couple years. But on one trip, I found myself getting increasingly anxious as the camp chores came to an end and it was time to turn in for the night. I didn’t know what I was experiencing or why at the time. I just felt my heart rate quicken, my thoughts begin to race, and it was difficult to eat my dinner due to the stress. That night in the shelter was feverish — full of fear and anxious thoughts. I contemplated packing up in the dead of night and hiking out. It was that bad. Morning came and the anxiety was gone. I was able to complete the hike without another incident. Later that summer, I was gearing up for another trip and started to feel bits of the same anxiety about my upcoming trip. I worried that I would experience that stress again at night in my shelter. The anxiety got so bad that I threw up and scratched the trip. In the aftermath of that summer, I learned that what I had experienced on my trip was a panic attack. I had never had one before in my life and didn’t know what was happening to me. Because of that panic attack, I became anxious and afraid of backpacking because I subconsciously did not want to experience that feeling again — especially miles from the comfort and safety of my home and family. I had learned to associate being alone in my shelter with that panic. I am not a mental health professional, but it sounds to me like you experience intense anxiety (perhaps bordering on panic) when you are out there alone. I sought treatment for my anxiety and learned to cope with it. I learned about what causes panic and methods for dealing with it. Armed with this new knowledge, I exposed myself gradually to greater amounts of the outdoors and overnight experiences. The treatment was completely successful. I have been able to get back out into the woods without experiencing panic or intense anxiety. In conclusion, it may be the case that long-distance hiking is not for you. There is nothing wrong with that. However, I want you to know that if I am right about your mild panic attack, you can learn techniques to combat the feelings you experience out there. Being proactive could prevent it from becoming a bigger issue down the road. And it will help you gain greater enjoyment from being out there. An incredibly thought filled post. Thanks for sharing. I recently launched into my first solo overnighter but met some nice hikers in camp. Of course I struggled with the things that go ba-bump in the night but the objective was to confront some of these fears. It wasn’t a rest filled sleep but I survived. Whew! Perhaps it will be a gradual learned skill given more time and experience to be at ease outdoors. On my own, I sang the day away and I found my memory for lyrics to be half a chorus long at most. The humming only got louder as the rain came pouring. My brain musings where not overwhelmingly exciting or radical but touched on some of the same topics mentioned here. Why am I doing this? Am I crazy? I was glad to meet other hikers once closer to camp & sure did ramble their ears off for a brief half hour before heading on. Hike, eat, camp, eat, hike… Something wonderful about the basics. Previously while hiking with others I often daydreamed about rambling at my own pace in order to gander at flowers, take time for photos or just enjoy a viewpoint without playing keep up or stand waiting. I found that Father Time coupled with the sinking sunset pushed me forward instead. Go figure!! Not much lingering at all. I was gifted with hiking company the next day and found it fun. Up to my jokes and laughter. Maybe even more chipper. The group noise dissolved my solo alertness for bears. Some enforced stops by others actually made me take in a view or two more than I would have seen on my own. The added company was also a blessing because the mud and terrain had slippery spots and made for safer passage. -I hung out with more people travelling solo than I would have met with a hiking partner. -It is impressive how much pack weight people are able to carry. 70lbs maybe? -Talking/singing to yourself doesn’t seem half bad when your alone in the woods. -Being outside makes me feel small in a world that is incredibly grand. Nice post Stick. I enjoyed hearing about your anxiousness – I certainly would not call it anxiety – about being by yourself at the shelter. I’m glad it worked out for you. I, like a previous commenter, am a confirmed introvert, and enjoy hiking solo, prefer it in fact. I usually only frequent shelters when the weather dictates, and find the sounds of nature at night, the most comforting, sleep inducing, sounds of all. I look forward to hearing more about your continuing hike on the BMT. Please do regale us! I enjoyed reading about your being conflicted about being alone at the shelter. Obviously you have little choice in GSMNP, but I find that – especially during the height of the hiking season – I tend to avoid shelters unless the weather drives me to them. The ONLY time I use earplugs is in a shelter. I find the night sounds of nature the most conducive, sleep-inducing sounds ever. It’s okay to “chat” with other hikers at a shelter, but very seldom is my schedule the same as others and I often struggle to sleep when others are still very active – especially if they have built a fire. I hike because I love seeing, smelling, and feeling, the outdoors. I also love the association I get with old and new friends. I always come back with a renewed appreciation for life and the planet. Personally, I don’t need complete solitude to experience this. I’ve never hiked alone to date. I always invite a small group of my relatives or close friends. I do however, find myself occasionally longing for some quiet moments on the trail. Most of the time, those moments seem to occur on their own without having to ask people to be quiet. Especially on uphill switchbacks! Also, when we hike in a group, we tend to alternate between grouping up, and walking a bit apart, but no more than 50 yards. At the end of the day we always look forward to fishing and setting up camp. Great conversations. I also take the opportunity to head a 100 or so yards from camp if there is a nice vista or meadow nearby in the event I wanted some alone time. When I’m alone, I try not to think about problems in life and solving them. I try to reflect on the present, and the future. For me, these alone moments can be very spiritual moments. The first night is always the toughest for me personally. I’m glad to hear I’m not the only person that wonders why I’m doing this. Sometimes I think that technology will soon make traveling to my favorite sites too easy (think: JetPaks, even Star Trek style transporters). But most of all, on that first night, I find myself missing my wife and want to hear her voice. This is rarely possible on some trips. My idea after reading this and writing a comment: I think I might wife to record a personal video message for me next time. nice article! although I do not believe in mans god I DO believe that nature itself is my god!.canyons carved by time…the sinuous feel of madrone tree…..Sunrise….Sunset…..Cool air blowing off the glacier…The smiles and easy conversation of my wilderness Brothers and Sisters….Only my Energy will persevere….but these wild places will live on….forever….I wish mankind could put their faith in these pristine places and experiences…..Protect for our children from the forces of ignorance and greed…I pray to the mountains….but fear for their future……Keep these places in your heart and mind….until the last breath……!! Hello! I often find myself backpacking alone. It took me much time to get used to it. But I don’t mind it now, I have developed a closer relationship with God because of it! Also, I take my trail dog Libby, she is a German shepherd. She makes me feel safe and it’s great seeing her happy face when we are out. Happy trailing friend, hope you find your way 🙂 looking forward to more posts! I hiked and camped when I was a kid and continued well into my teens. By the time I hit my twenties I hated it. I married a woman who isn’t into the outdoors. I’m 41 now and have camped about once a weekend each summer. I have nice gear and LOVE gear posts and trip reports. I tried doing a backpacking trip about 2 years ago, I hated it. I follow the industry, I read blogs, and love backpacker magazine but I have no interest in going out into the back country any more. I’m sure this is due in no small part to two facts. First, I work an odd schedule and with family obligations don’t have the chunk of time nessecary to dedicate to the activity and I don’t have any friends who have the same days off as me. Second, I am a Park Ranger and work in the forest for the local county. I am in charge of 4 county campgrounds and by the end of my work week I want to be as far away from campgrounds, camp fires, and people. I very much want to sit in my air conditioned (or heated depending on the season) house on my couch where there are no bugs, no sun/rain/wind/snow/etc. so I have become a couch bound outdoor fan and I’m ok with that. Stick, wanting to be with your family is perfectly acceptable in fact you probably should be with your family. For me when the itch to go outdoors for fun starts to eat at me (usually once or twice in the spring and again in the fall) I drag my day hike fear out and try to find a couple of short routes close to home that I can squeeze into the 3 or so free hours I have on each of my days off (between dropping kids off at school and picking them up). Perhaps backpacking isn’t for you, perhaps it’s time for a new hobby you can share with your wife? Just an idea (although I would miss your tweets, facebook posts, and your blog) hope things work out for you however you choose to go. Wow, great response… Thanks for sharing. As for backpacking and me, I am not ready to hang it up… I really do enjoy it, but am finding myself having a tough time enjoying it as much when I am alone as when I am with others… or more specifically, with my family. I really enjoy meeting up with friends on the trail too though, and that does make the trail time better, but even then, after some time, I can’t help but miss the family, and wish that they were there to share the experience with. Have you ever returned from a solo hike stupider? Less proud of yourself? Less skilled? Less aware of your surroundings? The human silence in the wilderness sends my mind in the direction of the Native Indians, the South Pass explorers and French fur trappers who passed this very way in a solitude and a minimalism we can’t imagine. And when you make that inevitable stupid mistake while hiking, nobody has to know. I think it is pretty neat that you know your hiking style and have no problem stating such! I, like you really enjoy having someone there to share my overnight(s) hikes. Being solo for day hikes works fine, but longer than that…well it’s great to have at least one more around. I also have no business going on solo mutiple day hiking by myself due to the liklihood that at least once I will fall or stumble down (not a condition of clumsiness, but rather balance issues related to removal of a brain tumor that I had). I’m happy that I can still hike and enjoy being out with nature. Unlike many, I have no interest in long distance hiking (never have) so the mutiple day and week long hikes are just perfect for me to appreciate nature and life back home!! There’s a lot about your feelings that reminds me of solo motorcycle touring. I think about it when I’m home, I’m nervous the day before, then I’m both excited to get going and disappointed at the anticlimax of departure. On the road I go through phases: I enjoy it and I wish I could share it, suffer through the bad bits (wind, freeways), and other mixes of feelings in turn. Part of why I enjoy hiking is that it creates an automatic adventure out of what might be a routine vacation. It’s something that I’ve always known I would love, even before I ventured that far away from pavement. My first multi-day hike just happened to also be “officially” solo. It didn’t start out as the goal — just became part of my adventure. I wasn’t too sure about it, but quickly realized that walking the trail by myself gave me a chance to listen more closely to creation around me. It also made the amazing people I met along the way a more special part of my journey. The stories they shared and the stories we created by sharing a journey will always be some of the most vivid in my memory. I can’t knock my buddies that have joined me on other hikes by saying that the solo memories are better, but they are definitely the most intense! Anyway, thanks for stopping by and posting, I appreciate it! You should get a hiking buddy with 4 legs….the companionship really helps…I always try to hike later into the evening when solo….less down time…set up shelter eat then go to bed…works good for me..
I’m an old guy and an introvert (so say my birth certificate and Myers-Briggs). I hike by myself a lot and enjoy it, but I sometimes enjoy camping with others. I enjoy hiking alone because I can “hike my own hike,” as they say, and not have the stress of trying to keep up or wondering whether or not to take that side trail to an overlook, or what time to get up in the morning, etc. Hiking alone is simpler because I don’t have to stress over whether or not someone is going to meet up or catch up or be there when I get there. I shoot for ten or eleven miles a day but can to as much as 14 or so … or as few as five, and still enjoy myself. I always take my e-reader or a book and spend the alone time reading or writing. I love to hear the night sounds of owls, coyotes, armadillos, pigs, occasional bears, and flowing streams or blowing breezes. I actually love to lie under my cuben tarp and listen to the rain or sleet. Because I don’t like to get into situations for which I’m not prepared (I think that’s part of being an introvert), I spend a lot of time thinking about cooking the next meal, how to change a piece of gear to make it work better for me, how to break camp in the rain without getting soaked, what to do in a lightening storm, or what to do if I meet up with a pig or bear along the trail. Of course, when I meet up with people in a shelter or at a campsite, we usually talk about gear and food and stuff … that’s always fun. I have met some interesting people along my journeys and their stories become a part of me and mine a part of them. I’m always glad to get home and always glad to get back out on the trail. Those are the same reasons that I want to be able to hike alone… although, I would also like to tick off a bit more miles per day as I don’t enjoy sitting around one spot too long… I like to stop, check things out, then keep going. I don’t even like to stop long for lunch. I usually don’t even stop long enough to take my pack off during the day until I am finished for the day! I feel exactly the way you do. I love hiking for the adventure and the beauty of exploring God’s creation. I love the daytime…even in the rain…but at night I get homesick and I have trouble sleeping. I have found whiskey helps at night in addition to earplugs. I hiked the Georgia section with my brother and a friend this summer. I struggled sleeping at first and then on my last night on the trail I found the BEST way to beat homesickness and insomnia on the trail….bigger miles. We hiked 15 mile that day and man, did I sleep good that night! So maybe try to increase your mileage per day on your next hike? Thanks for your blog. I love all your trip updates. I have learned a lot from you bro! Great minds think alike! I almost always bring some cinnamon whiskey with me, but I did forget it on this trip (although, one of the other guys was happy to spare a little for my hot tea one night). Great suggestions though, thanks for stopping by! Nice piece Stick! Why do I hike? For exercise, but that is a low end part, to force my self to slow down and enjoy God’s creation. To get back to that primal rhythm, feel the beat and pace of the earth, while I clear my head of the muddling confusion one’s imagination creates through life’s stress. Yes I do hear the sounds of the woods at night but long ago shut out the fear. And turned on the orchestra of the woods, listening for each musical section, chirping crickets(woodwinds), rustling rodents (percussion), frogs (bassoon and brass), the owls (bass and conductor) to pause it all but only briefly, to hear the flute of the whippoorwill or loon to begin the rise again, before the sound of pattering rain lulls me to sleep. To live simply with no time constraint save when to start and (unfortunately) when to stop. I hear ya Stick. My story is quite the same. I think about the trail non-stop when I’m not on it and I’m often lonely and homesick when I’m on it. The way I see it, those feeling I have when pushing solo ensure that I won’t keep on down the trail. They send me back home where I belong and leave something for me to crave until I can get on the trail again. That is a good way to think about it… I like that! By the way, I love the picture at the top of this post. The way those fir trees formed a tunnel high above us made me feel like I was walking down the nave of a great cathedral, only this cathedral was made by God, not man. I couldn’t get a good picture of it but am glad to see you did. I like to hike in the mountains because I feel like the mountains help restore my soul and help me connect with God. For that reason, I want some solitude on the trail, but that doesn’t mean I normally hike alone. Though I have hiked alone and will do so again, normally I hike with a group. This is the third year that Preacher and I have gone on extended AT section hikes. The first year, there was a group of about 5 of us, last year it was just Preacher and me and this year Sawmill joined us. Even when I’m hiking with a group, I find that I am often hiking alone, as everyone has their own pace – hike your own hike, as they say. There have been many days when I haven’t seen my companions except in the morning, at a designate lunch site and at day’s end. Other times we have found a pace that everyone likes and have stayed together. It really varies. As I reflect back on our section hike through the Smokies last week, I think it was our best ever. 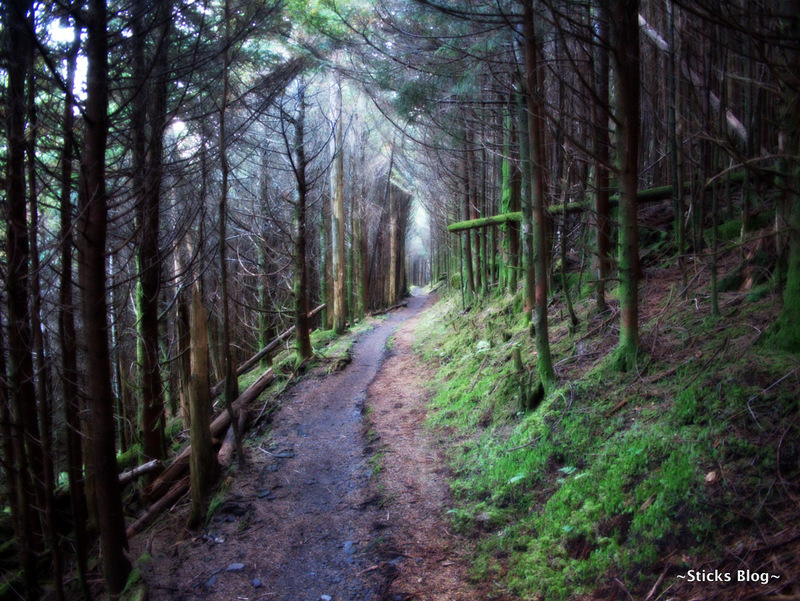 Yes, the Smokies are beautiful, but that wasn’t the reason it was the best. The reason it was the best was all of the great people we met along the way, starting with Pippin, who we met at Russell Field and who became a part of our group, then Lukey who we met at Ice Water Springs and who was on his first backpacking trip since having double knee replacement surgery two years ago and finally meeting you and Kool91 at Tri Corner Knob. We really enjoyed that night a Tri Corner Knob with the group we had there and had we not been so near to the end of our hike, I’m suspect we would have seen a lot more of one another. Like you, I’m not quite sure where I’m going with this post except to say that it’s not necessarily who you start the hike with, it’s who you end it with. It was so great getting to meet you and your group! I really did enjoy that night on the trail… It was great getting to hang out with y’all. And I agree, meeting others on the trail is such a blessing (most of the time… 🙂 ) I have made a few friends the same way that we have met… The newfound relationships are definitely fun though. Anyway, thanks for stopping by, and maybe we will meet on the trail again sometime! Sometimes I think we hike because we need to do so for reasons deeply felt but beyond the reach of conscious thought. We hike because we need separation from the familiar to appreciate that same familiar again upon our return. We hike for the thrill of the challenge, for the sake of being tested in an environment where life is reduced to its most simple needs—food, water, shelter. We hike because losing ourselves in the beauty of the wilderness is a means of finding ourselves. Oh, yes: and to keep the bear burrito thoughts away at night as I swing in my hammock, I use ear plugs. I found it was the unfamiliar night noises that kept me awake at times; usually my exhaustion was sufficient for sleep! Wow! Well put! I love it… thanks for sharing! I am sure you are not the only one to feel the way you do about hiking. I know I always wondered what the heck I was doing after the first night. Now I look for the solace of a solo campsite. I sleep better, no snoring! Thanks for sharing.